Reese has a new contest! 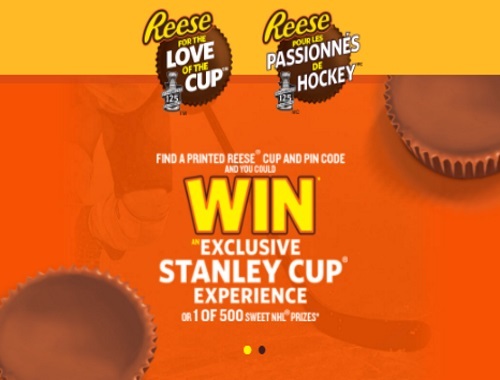 Get into the game by purchasing a participating Reese product and entering the PIN code inside for a chance to win! Grand Prize: Trip for 2 to a 2017 Stanley Cup Championship Game including airfare, accommodations, tickets, transportation & $1000 Spending Money.